Captain Austin. 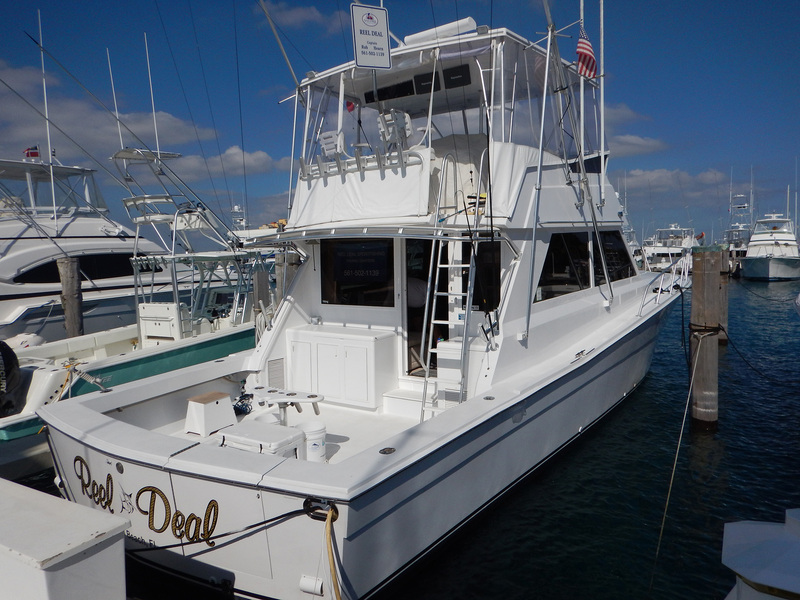 Angler Management is considered a perfect "all-around" SE Florida fishing vessel with great SQ Footage of fishing space. 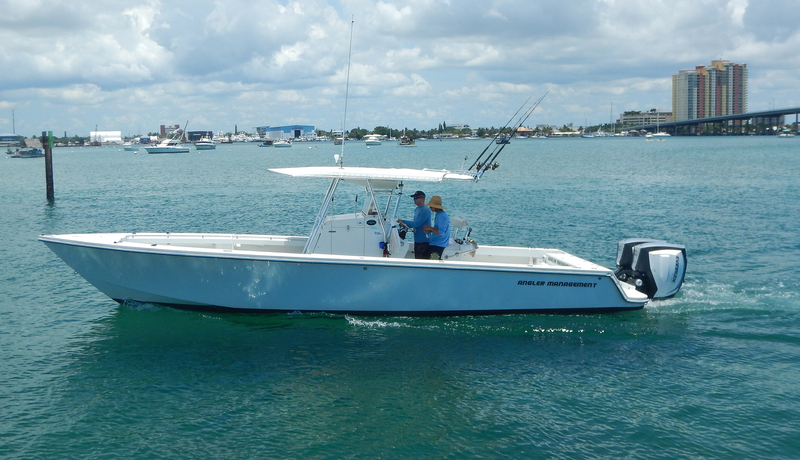 “Angler Management” – The boat that gave us our reputation is a Palm Beach custom center console, measuring about 36 feet overall. A very rare hull with only 19 ever built (Legend – Made By Jupiter and Venture Co.). These fast, dry, smooth riding hulls are built to last. This vessel is truly a fishing machine. Powered with twin G2 300 HP Digital Evinrude “Etec” motors give 600 Supercharged Horse Power so the fishing grounds are never a long ride. Outfitted with the finest everything, this boat has 13 tournament wins in the last year. This vessel is equipped with all the best gear and tackle. • Garmin(Chirp) Navigation and GPS, Marine VHF Radio, and BlueTooth so you can listen to your own music! • Coast Guard inspected and up-to-date on all Navigation and Safety Equipment. Captain Rob. Totally renovated and updated VIKING yacht. Twin Cummins QSM engines for a smooth, quiet, smoke and smell free ride. Completely updated interior for comfortable voyages in ice cold Air Conditioning. Spacious Interior with cozy couch, TV and dining area to sit out of the sun and enjoy lunch or snacks. Captain Phil. This truly one-of-a-kind build is an absolutely stunning “Moppie” Express Style fishing boat was custom built on an awesome design platform. It measures over 42 feet and rides like a dream. Powered by twin turbocharged Cummins Diesel engines, this vessel can cruise at over 30 Knots. The engines were completely BLUEPRINTED, and built with Special Turbos. 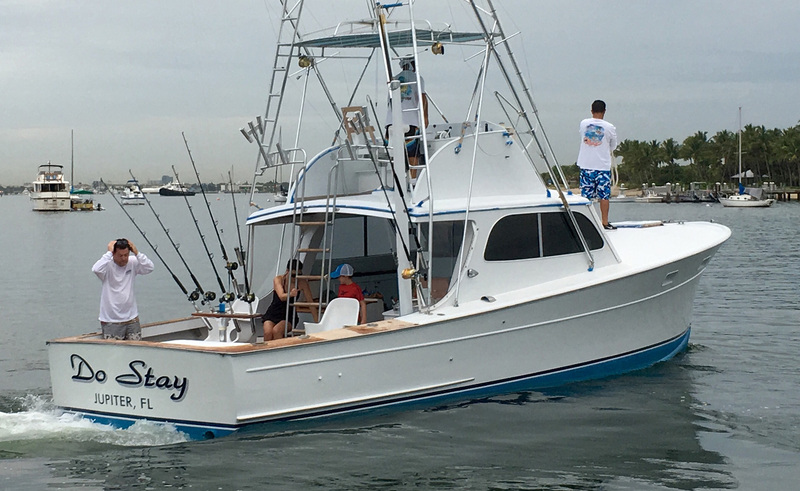 We outfit this boat for the South Florida Tournament scene with a custom Release marine Launcher that holds 6 rods while kite fishing. This is a spacious and comfortable vessel, with a flat bow, making sunbathing easy and comfortable. When you’re fishing, you can sit in the cockpit or relax on the long cushioned bench seats, or sit in the tower and see the view from above. For the extra hot days, relax in the Air Conditioning down in the cabin or sit on the bed and let the ocean rock you to sleep while your family is fishing or snorkeling. Captain Willis. There's not much that needs to be said about these boats, the SeaVee is among the finest center console vessels and always on everyone's dream boat list. This one is ultra efficient with a single Yanmar 440 diesel engine. •Coast Guard inspected and up-to-date on all Navigation and Safety Equipment. Captain Lou. A truly Iconic Vessel built by Buddy Merritt himself. The 4th one ever built. Lots of comfortable seating either inside the shade or right out in the cockpit where the action happens. Large table setup for comfortable lunch/snacking. 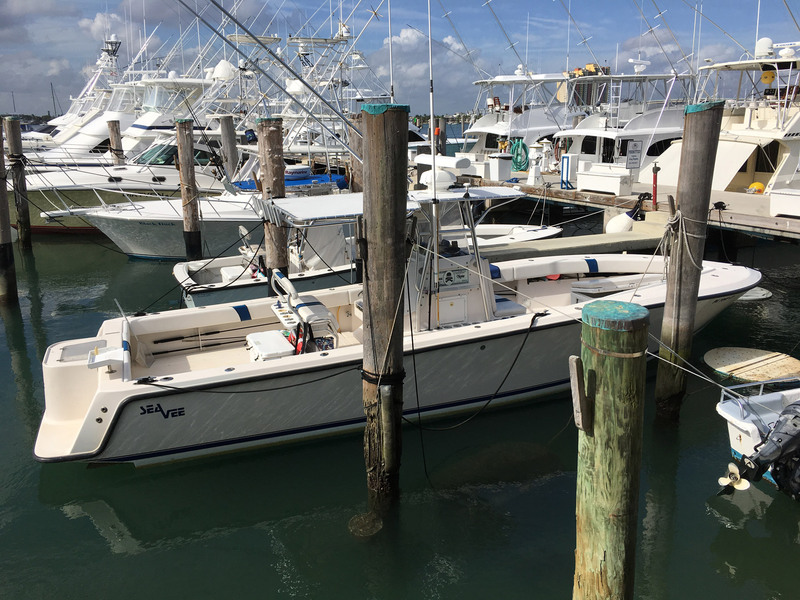 This is a proven fish raising machine, and this Merritt is recognized as the perfect fishing boat due to the hull being a cold molded, solid riding and sea keeping machine! • Dayboat setup gives you plenty of shade and cool air flow, without having to be inside. • Large Live well and Huge amount of cooler space. • Awesome Surround Sound system. Captain Austin. Angler Management is our Flagship Vessel and the Finest Vessel in our entire Fleet with the most SQ Footage of fishing space. 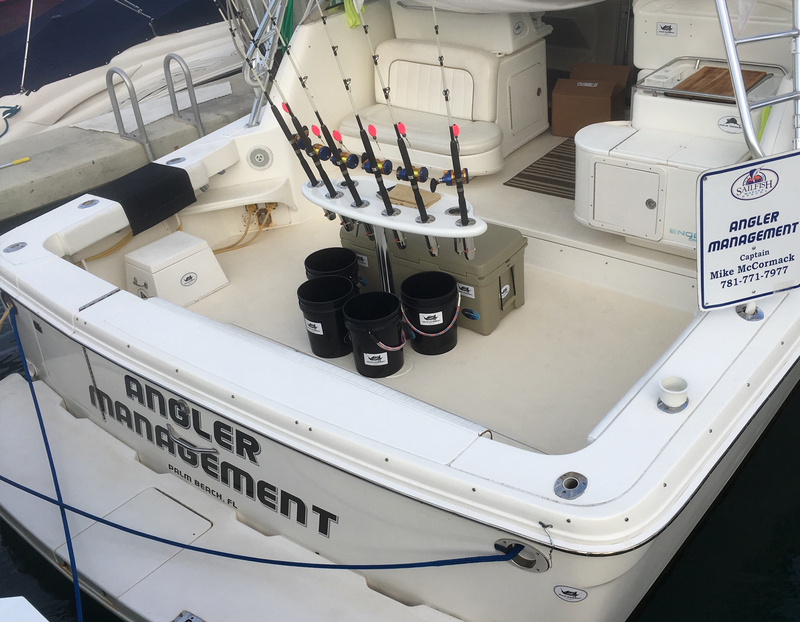 “Angler Management” – The boat that gave us our reputation is a Palm Beach custom center console, measuring about 36 feet overall. A very rare hull with only 19 ever built (Legend – Made By Jupiter and Venture Co.). These fast, dry, smooth riding hulls are built to last. This vessel is truly a fishing machine. Powered with twin G2 300 HP Digital Evinrude “Etec” motors give 600 Supercharged Horse Power so the fishing grounds are never a long ride. Outfitted with the finest everything, this boat has 10 tournament wins in the last year. • 2016 Garmin(Chirp) Navigation and GPS, Marine VHF Radio, and BlueTooth so you can listen to your own music! • Coast Guard inspected in April of 2016 and up-to-date on all Navigation and Safety Equipment. Captain Willis. There's not much that needs to be said about these boats, the SeaVee is among the finest center console vessels and always on everyone's dream boat list. This one is ultra efficient with a single Yanmar 440 diesel engine. Add in a commercial grade electronics package and a full compliment of Penn Reels and you have 34 feet of fishing headquarters.